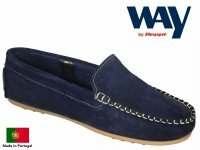 This is achieved by sourcing direct from the factories in Portugal owned by both Quayside Footwear and Beppi Footwear. Beppi being one of the largest leather shoe factories in Portugal which provides our customers with a far superior boat shoe when compared with the Chinese made boat shoes that are currently being sold by most of the large companies here in the UK. Their buying cost and huge profits appear to count for more than supplying a quality leather profuct. 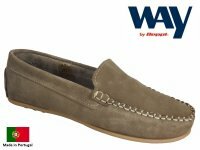 Put it to the test and you will be pleasantly surprised at the lower prices and far better quality of the European made boat shoe. Traditionally supporting European jobs meant paying more but not anymore as here at Boat shoes UK we give far better quality boat shoes at far lower prices than the big boys want to do! Join the fight against badly made boat shoes and please place your order today. Unlike many of our competitors we always hold the stock that is shown on our web site and therefore are always able to dispatch orders immediately. We do not retain any financial information once the order is placed.